There’s the old adage that brewers can only make wort, because yeast makes beer. But where do brewers get their yeast? 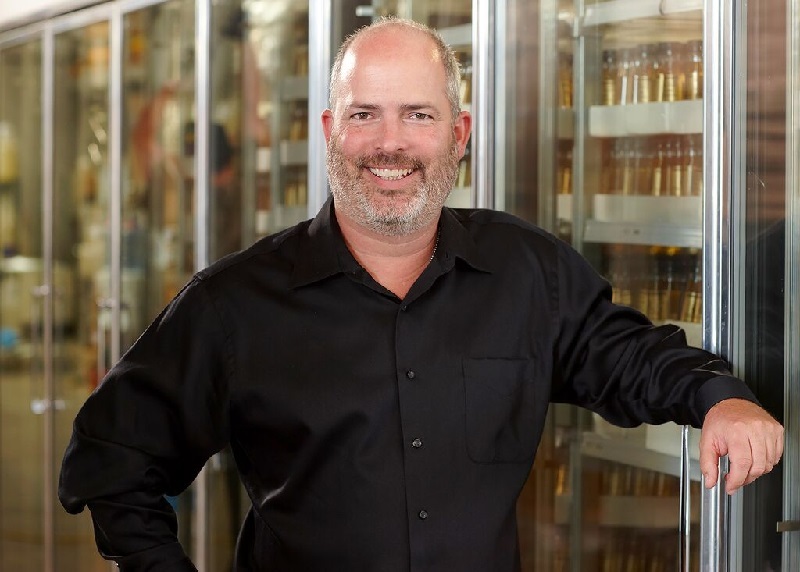 There are a handful of companies that supply Saccharomycescerevisiae to the continuously growing American brewing industry, and White Labs, founded and headed by Dr. Chris White, is among them. Based in San Diego and with a new production laboratory set to open in Asheville, North Carolina, White Labs has a lot going on in the world of yeast production. All About Beer: What are brewers looking for, yeastwise, from you? Chris White: No surprise that yeasts for sour beers—Brettanomyces—is really growing. It doubled for us this year and is ahead of everything except cider. In 2011 we saw the need for additional capacity for Brett and made the right adjustments. That’s going to make a lot of consumers happy to read. What makes you happy? Innovation. Every day we’re growing microbes that are healthy and pure and built for performance. We’re working on a few things that are really exciting, including a DNA sequencing project. There’s a lot we know, but a lot we don’t know, and the whole genome has not been sequenced. I don’t know what it will lead to; we’re just doing this to learn more about yeast. It is nothing commercial, just about scientific exploration. White Labs is leading this collaboration with several labs in San Diego and Belgium. On the commercial side of things, you’re close to opening a new laboratory on the East Coast. Why did you choose Asheville? Well, it didn’t start out that way. We knew we wanted an East Coast facility, and I was thinking Pennsylvania or New Jersey, but hadn’t thought about the Southern states. But obviously they’ve become more active, and two years ago I gave a talk in Boone, North Carolina, at Appalachian State University, and had a chance to speak with some people from the state. They approached me, talked about New Belgium, Sierra Nevada, Oskar Blues and all the great local breweries in the area, like Wicked Weed. I gave it some thought and could see there being something going on there, so it made for a good choice. What the state is looking for is job creation, and we’ll bring 65 new jobs to the area with this new laboratory. When you started your company in 1995, did you ever think you’d be expanding across the country? Since the beginning we’ve had sales on the East Coast. California is great, but it’s a long way to send yeast, and it gets more and more expensive to ship it, and while breweries pay that, it’s still a long way, so I thought that when we got to a certain size, we’d think about the East Coast. It just happened faster than I thought. It makes sense to get the yeast as close to the customers as possible. We’re trying to keep up with the expansion of the industry, and this will allow us to double production. It’s incredible. We started from zero in 1995 and have really been growing strong since 2010, when the real industry expansion started going. It doesn’t seem to be slowing down, either. New breweries are calling us every day, and we’re trying to match their needs. Needs as in just getting yeast to the brewery? We’re also doing a lot of education. There’s an explosion of new people to the industry, and many don’t have formal training, or never even homebrewed to learn basics of yeast. So we built a classroom, and we’re doing more and more traveling workshops. We’re also educating ourselves, doing sensory training in-house and with brewers to guess yeast strains. You can sometimes tell if liquid yeast is used. You can get ester profiles, specific fruitiness. It’s the people who master the combination of science and art—who look for the sensory experience—that are the best brewers. They are focused on quality. Lack of quality is still an issue? Most brewers agree that better beer is better for business. We’ve seen that. The most-successful companies are about putting quality first. Over the years things have gotten better, but there is still work to be done. Proper yeast maintenance can be expensive, and it’s troubling when some brewers ask about ways around it. Yeast management is the area that needs concentration. People need to learn a whole new field of expertise once they enter this arena. Investment in yeast leads to better beer. The brewers that take the right steps towards treating yeast right are the ones with high-quality beer. They are the people winning medals. Go to the next page to learn more about Chris White.